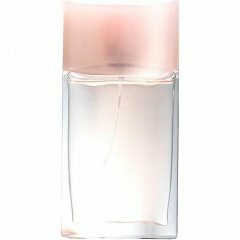 Soft Musk (1981) (Cologne) is a perfume by Avon for women and was released in 1981. The scent is powdery-woody. The production was apparently discontinued. How I would have liked to have heard this sentence at the tender age of 12. I can't remember exactly where I first saw one. Well-groomed from head to toe. I was so impressed, all over the place. How I would have liked to have had the visit of such a well-groomed lady with us. Sniffing the figures, trying out the colors. But unfortunately we didn't have them. The first TV was still in black and white. Advertising mainly in paper form. And the consultants only work in the neighbouring country. And just walking across the border wasn't as easy as it is today. And now, after so many years, I have them. Maybe not even because of the scent, although I am surprised how delicate and beautiful they still are. Today my demands are certainly greater, but then it would probably have been my greatest treasure. Not only because the figures are beautiful and give pleasure, but also because the scent would have been quite wearable for a teenager. A powdery, light musk scent rises to my nose. Delicate and well-groomed, just like the old lady. Nothing stabbing or hairspray-like is available with me. Sure, a fragrance process in the actual sense is not given, it is rather as if one would apply a beautiful tender cream. It is not a luxury brand and perhaps not as popular today as it was then, but it does not always have to be expensive luxury to give pleasure. Now I close my eyes, sniff my sweet figure and hear a pleasant soft voice from the distance of the past, hello your Avon consultant is here. Well, finally. I own two bottles of Soft Musk, an original from the 1980's and a newer one from the 1990's. The original from the 1980's is without a doubt the stronger formulation and has clearer notes in it. I get a sprinkling of all of the notes, a layering of florals, a hint of spices with a swoosh of warm vanilla enveloping it all in my original. They all blend easily enough to make a comforting scent that's not overbearing and gentle enough to wear for daytime use. The later rendition seems to be diluted and less stronger in the florals and spices and more powdery to me, which is still a nice, comforting scent. Lasts surprisingly long, a few hours, and the sillage is good with two sprays of the older bottle. A nice winter or cooler night air scent for any gender. If you able to find a box in your local thrift shop/flea market, check the date on it, or look at the bottle to see if it's an older one for comparison. Either way, a generally nice scent, but the older one is much stronger. lovely perfume. Not overpowering but very comfy to wear. Its a classic for me. very soft and powdery musk. Write the first Review for Soft Musk (1981) (Cologne)!